COSTA RICA P167 2 Colones 1934 “MONA LISA” by Leonardo Da Vinci FINEST KN by ALL Co’s! The famed “Mona Lisa” from COSTA RICA P167 DATED 19.12.1934 2 COLONES. PCGS 66 PPQ! 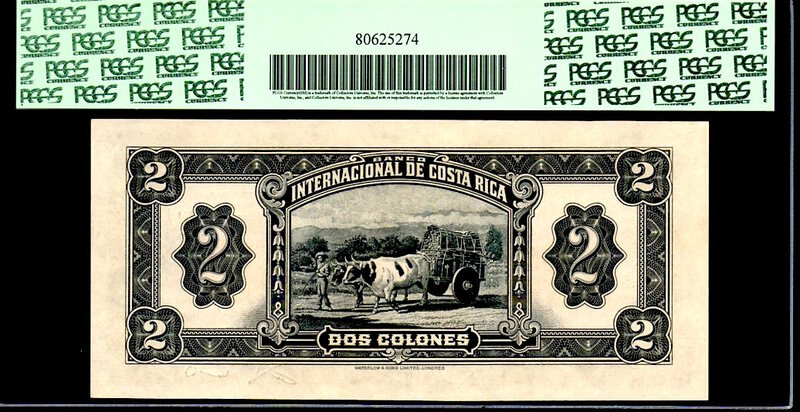 (Was previously graded a 67PQ by another co.) The FINEST KNOWN example in the World known to exist! 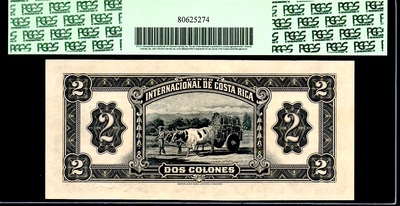 It’s also “the only” known example in even Uncirculated Known to exist. I acquired this piece about 12 to 15 years ago. I procured it from a very well known dealer / collector who had owned it himself for about 20 years. He discovered it from a gentlemen collector who also had owned it for about 30-40 years (nearing it’s original mintage). It did take me a couple years of negotiations to procure it however. 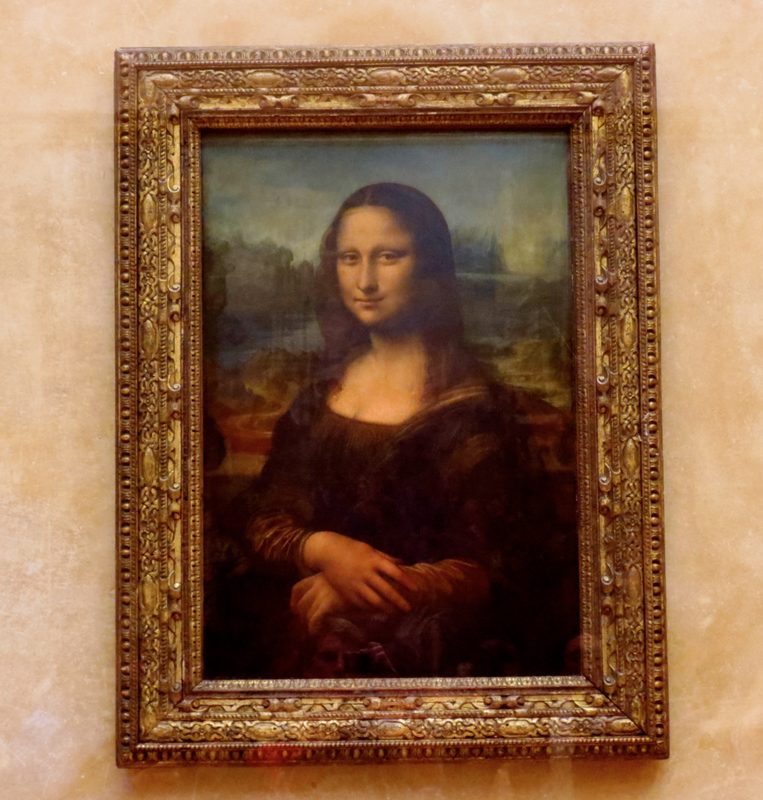 When your eyes first gaze over the most famous piece of art in the World, there’s no doubt your focal point will immediately be drawn to Mona Lisa, it’s as if you can’t look away. Just viewing the central portrait, immediately you recognize that it’s origins came from the Grand Master Painter ~ Renaissance of the 16th Century (and obviously it did, from the Grand Master of all, Leonardo da Vinci, painted in 1503-06). This is the same Renaissance Painter that created the famous “LAST SUPPER” in 1498 (with tempera and oil on plaster). The Mona Lisa was one of the first of it’s kind being done with Oil, as opposed to the traditional Fresco on wood or tempera (which has a much more flat look, Oil added dimension). The “Mona Lisa” currently resides in Paris, Louve (which it has for over 100 years, with the short exception in 1911 when it was stolen from the Louve). 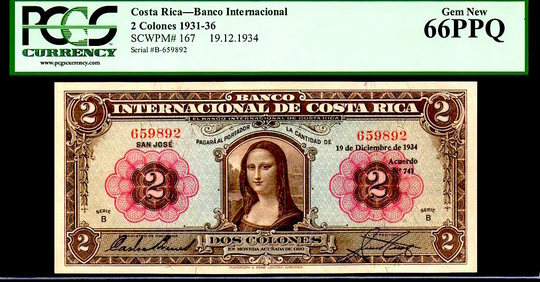 This bank note, being the only time in all of History that a Masterpiece of such significance was ever printed onto currency, elevates the importance of this piece. The dates range between the early to mid 1930’s and I have certainly searched the world over to locate and acquire all types and varieties, which there are few, never before have I examined or even heard a whisper of any other piece in existence that approached an Uncirculated piece. This validated what I had heard from the community for almost two decades and from researchers who had been avid collectors for up to 50 years. There’s NO doubt as to the importance of this unique piece and it’s condition. It has been confirmed by all the great researchers, as such, it’s significance cannot be overstated. Leonardo da Vinci was born on April 15th, 1452 in a farmhouse in Anchiano, which is 3km away from Vinci in Italy. Considered one of the worlds genius', he was not only a renaissance painter, but also a architect, engineer, mathematician and philosopher. He was born in Anchiano Italy to be exact. He died on May 2 1519 in the King’s Chateau at Clox (French King Charles VII), at which time he was 67 yrs. old. The King and long friend came into Leonardo’s bedroom just before his passing and sat on the bed next to him and shared his last words. He wrote his last will on April 23rd 1519. He was in poor health from paralysis on the right side of his body. Originally he was buried in the heart of the King's castle (King Frances 1st) in the cloister of San Fiorentino, but after the destruction of the church the mortal remains were transferred to the Chapel of St. Hubert (which ironically is the name of the Catholic School I attended as a young boy). 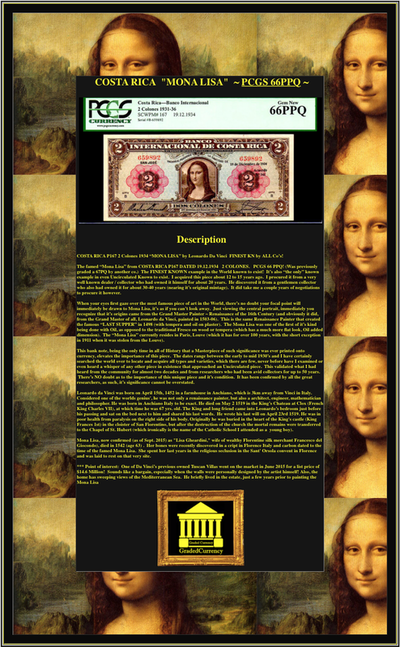 Mona Lisa, now confirmed (as of Sept. 2015) as "Lisa Gheardini," wife of wealthy Florentine silk merchant Francesco del Giocondo), died in 1542 (age 63) . Her bones were recently discovered in a cript in Florence Italy and carbon dated to the time of the famed Mona Lisa. She spent her last years in the religious seclusion in the Sant' Orsola convent in Florence and was laid to rest on that very site.